On the eve of the new academic year, our RAs are looking forward to meeting and engaging with returning residents and freshers alike. After completing a series of selection tests, training and planning, the 2017 leadership group is well prepared to undertake any challenges that may arise in the next 10 months. The RA team is a mix of experienced and first timers. For Senior RA Campbell Beck, he is no stranger to the role as a returning RA for 2017. 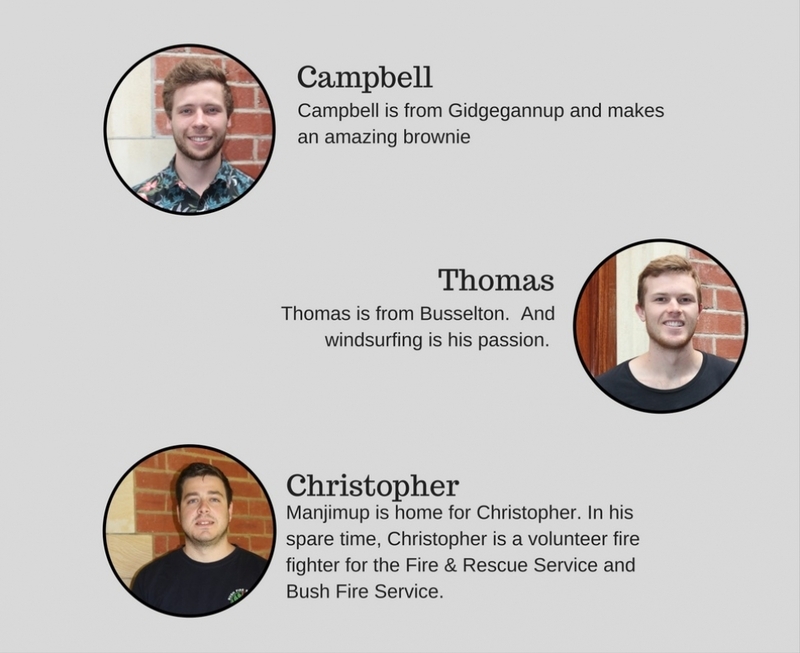 Campbell will lead his team in providing support for the residents of St George's College. A newly created RA role for 2017 is the International Students' RA. Christopher Rumenos will tap on his past RA experience and will focus on the welfare and lend support to our International students for 2017. Each of our RAs are terrific, individual leaders but collectively, they are great as a team. Congratulations to the RAs!